We are located 30 miles east of Austin and 8 miles west of Bastrop in the heart of Central Texas. The ranch has a bunkhouse, two outside arenas, horse boarding paddocks, a pavilion, two separate 6 mile trails on opposites sides of the ranch for horseback riding, dirt biking or just good ole fashion running on foot. The bunkhouse is available for rent year round. The arenas are available for just about any event involving horses. The horse trails are available for trail rides of all sizes and riding skills. We also encourage anyone wanting to train for cross country running to give us a try. The pavilion is available for parties and other special events. View the list of upcoming events and head on out to ride the trails and spend a night or two at the ranch. 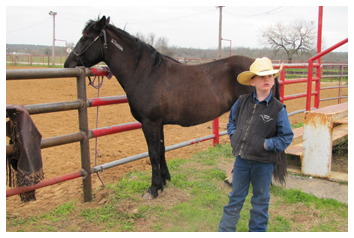 Make some new friends and experience life on a working Texas horse ranch. We do not rent horses out, one must provide their own horse for trail rides and other horse activities.